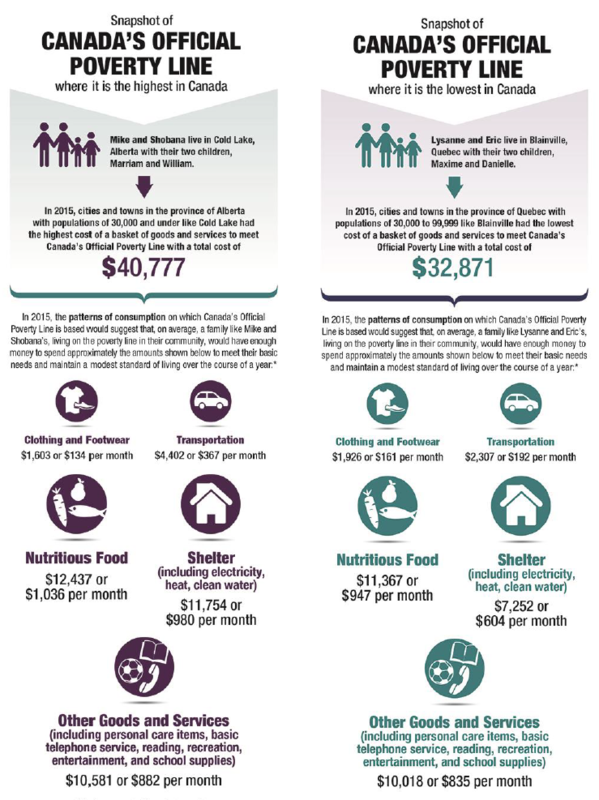 The Canadian Broadcasting Corporation’s senior correspondent Terry Milewski does a disservice in conveying the facts about inequality in his coverage of the now infamous report released earlier this week by the Canadian Centre for Policy Alternatives. The report graphically documents the income gap between top earners and the rest of the population, the so-called average Joe, by pointing out that by noon on January 3rd—the first working day of the year—the top 100 CEOs in the country made as much as the average Canadian will during the entire year. In a feature for The National, senior correspondent Terry Milewski pointed out that zeroing in on the top 0.001 percent of Canadian earners does not give a representive picture of the income gap. The richest 20 percent of Canadian earners are making 39.2 percent of total national income, which is only slightly more than the 37 percent they were making in 1991. The suggestion seems to be that if we ignore top earners and focus on a more a “representative” group of Canadians then we would find that the gap in incomes is not so great, and that inequality is not increasing. Milewski has thrown the baby out with the bath water. As a result he misses an opportunity to raise what is a terribly interesting and policy relevant issue. First, it should be clear that inequality is on the rise. Milewski’s major disservice is to bring this fact into question. Here is a graph from the Organization for Economic Cooperation and Development (the so-called OECD), which is a Paris based think-tank for the rich countries, funded by the governments of the rich countries. 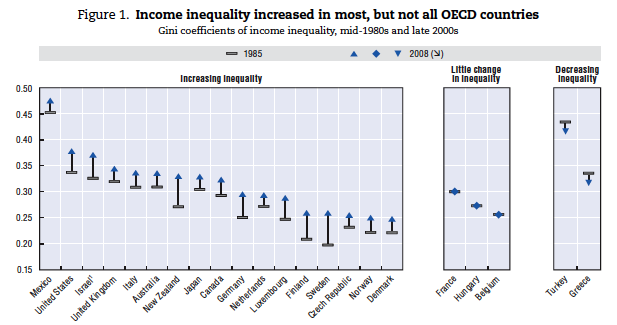 Using data representative of the entire population, the OECD found that between the mid 1980s and the late 2000s inequality rose in 17 of 22 countries, and fell in only two. Canada was one of the 17, with a level of inequality less than Mexico, the US, and Israel, but high enough to be part of a second tier group. Second, the interesting thing is to understand why, and this is the sense in which Milewski misses an opportunity. The fact that increasing inequality is not due to the top 20% of the population is important. 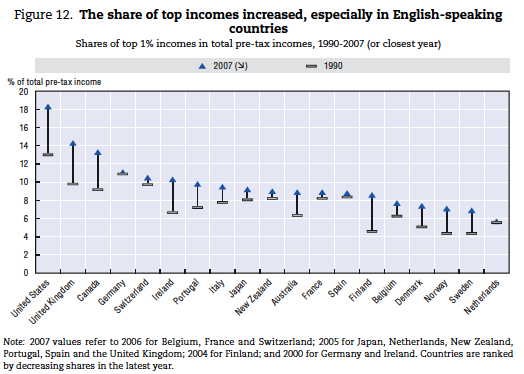 Here is another graph from the same OECD report showing that the share of market income going to the top 1% increased across the board, and particularly in the US, the UK, and Canada. The implication is that increases in inequality are in large measure the result of increases in the income shares of top earners. 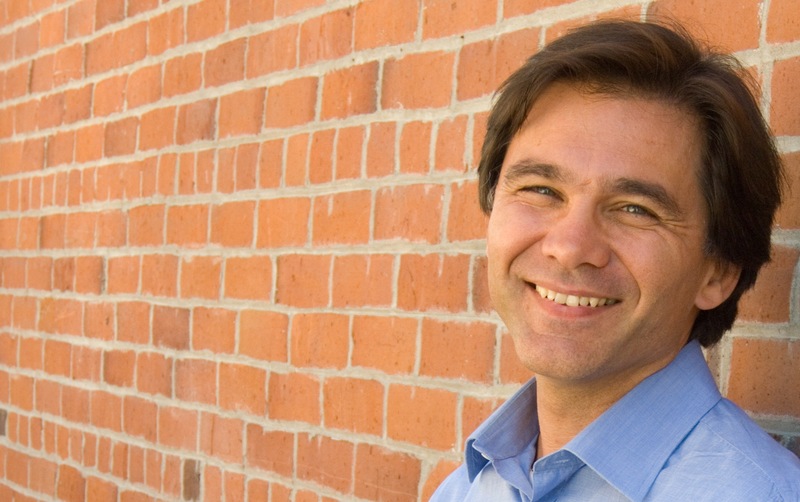 It makes sense to document changes in the gap between top earners and the rest of us. This matters because it changes our perspective on public policy. Labour economists have been very quick to ascribe differences in earnings to differences in education. As a result they have suggested that inequality reflects the limited skills of low earners in an era of changing technology and globalization, changes that are of relatively more benefit to those with higher education. 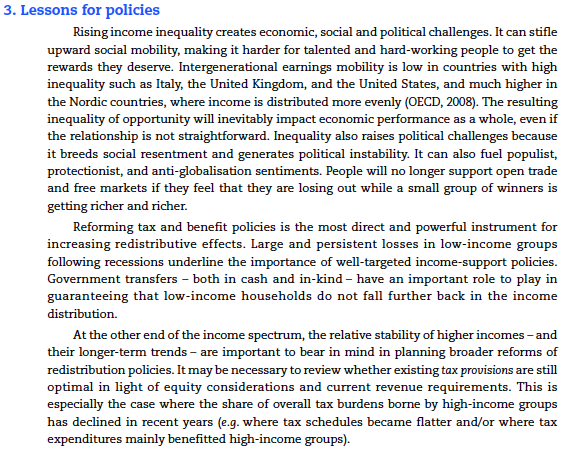 So the traditional explanation for rising inequality, and the associated policy recommendations, involved the top 20% to which Milewski is drawing our attention. For the most part this group of relatively high achievers in some sense “merit” their earnings, which are the result of having more education, and depending upon how you measure things, working more hours. In the United States this group has actually made gains relative to those with just a high school diploma. But this is not enough to explain why inequality exploded in the US. In Canada the top 20% has not pulled ahead because our education system has pumped out enough graduates to keep the supply of skilled workers in line with demand, because immigration has favoured the more skilled, and because a booming resource sector has cushioned the negative impact of globalization on the less skilled. Yet inequality has still risen. All this means that the traditional explanation does not justify the earning differentials between the top 1% and the average Joe. It is hard to justify the 189-fold earnings differential documented by the CCPA as the result of higher skills and education, or longer work hours.